I respect Nugent immensely and can vouch for his masterful descriptions of contemporary nerds. I've sought his expertise more than once for Geek Out!, but he misses the mark on this point. Especially within the professional and social circles of technically minded nerds, clothing matters. Would you trust an engineer who wasn't wearing a sturdy pair of rubber-soled shoes? What NASA mission control employee would NOT wear a pressed shirt to work? Isn't a polo shirt essential for men and women in research, company logo or not? Math and science nerds grow up to get good-paying jobs where they constantly have to deal with stuffy muggles like business managers and venture capitalists. There are microcommunities of scientists, engineers and programmers which, based on their field of expertise, develop nuanced communication through the clothing they wear. Perhaps these intelligent people still laugh like Louis Scholnik from "Revenge of the Nerds" or speak inappropriately loud and fast when they're excited, but they'd never dream of wearing a pair of fashionably tight pants to work - because the thought is nearly offensive. And in the past five years - because of the "nerd chic" oeuvre proliferated by the hipster community - if there's anything that jeopardizes one's nerd cred, it's dressing "cool." Dressing professionally in general is not a threat to most nerds' identity, although most nerds will say it is possible to dress too professionally. Looking professionally slick is not always as valued within nerd circles as being technically capable. For example, if an engineer showed up to a meeting dressed like Tim Gunn (who is a big fan of "Star Trek," by the way,) other engineers in the room might assume he couldn't bring anything consequential to the conversation and was probably just a manager. It is understood by many engineers that capable people don't need to "dress for success." That said, they generally don't look like schlubs, either, even if they're out in the field wearing reflector vests and sneakers. If nerds were monolithic in the disregard of everything but their hearts' desire, like Nugent said, it would not be so consequential for a nerd to parade around in designer clothes. But even if nerd fashion is not mainstream (and it is often deliberately, dramatically not mainstream,) it's my observation and experience that clothing is socially consequential for nerds. It's consequential in the way tartans denote Scottish clans - a nerd's clothing tells people what kind of nerd they are. Often nerds wear their identities on their sleeves, through T-shirts emblazoned with images of Storm Troopers or chemical diagrams. The nerdy T-shirt is as good as a name tag if you know what you're looking at. 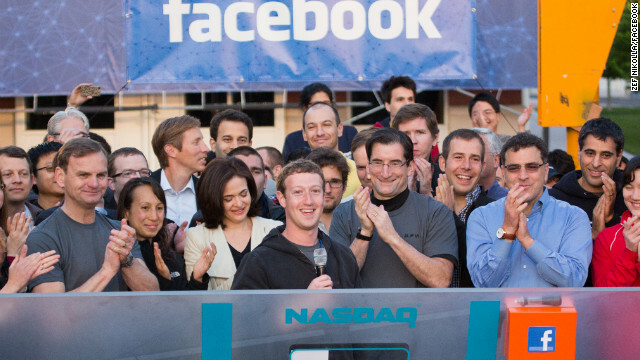 Zuckerberg's hoodie makes him an entrepreneur, an Internet artiste. There is no question he wears it intentionally - that's where Nugent and I agree. I just don't think the fact that Zuckerberg chooses a hoodie instead of a blazer means he has no time for clothes shopping. John, I like your ideas. Maybe we'll set up a boxing ring in the cetner of our neighborhood. When summertime togetherness gets to be too much, parents can send their children into the ring to duke it out in a safe environment. The winner gets a blue freeze pop. You are truly feeding the delusion that nerds are smarter or more unique or less mainstream than the rest of the population. Hipster+Nerd+Emo+Inde= The Current Dominant Culture of the USA, if not the world. I recently saw this great forum thread called "Can You Spot the Creative Person?". It put photos of Picasso next to nobodies in Hot Topic outfits or Urban Outfitters outfits or wearing coke bottle glasses, etc., with the intention that the dominant culture hipster movement would say that the person in the Urban Outfitters outfit was more 'creative' or unique than Picasso or Matisse, Monet or Van Gogh, all of whom dressed very conventionally for their day. And, I taught the GRE to prosective MIT and CalTech graduate students, and not one was a typical nerd or geek. They all pretty much looked like frat boys or wiggers (I realize the term is considered distasteful but cant think of another). One friend went to MIT thinking he would be among Star Trek fans and so on, but was hugely disappointed at how many 'normal' people he found. You are playing on stereotypes that simply dont exist anymore. Zucks laughing all the way to the bank, ad ons block internet ads, who still receives ads on the internet? Bottom line is that it comes down to respect. Sadly, young people today, including Zuckerberg, just don't have it. If you go to church you should dress appropriately. Sorry, but booty shorts are not appropriate. If you meet with businessmen who are going to manage your money you wear a suit and tie to meet with them, that just shows basic respect. If Zuckerberg had gone to the opening of his stock in booty shorts, I would respect the heck out of that! Hoodie? Yawn. It's completely accepted and even expected – the Nasdaq guys even presented him with a Nasdaq branded hoodie! It's definitely a conscious wardrobe choice, but is he conforming any less to social expectations than if he turned up in a suit? until you can say no to 1 billion dollars based on principle alone, don't criticize Zuckerberg. obviously the hoodie is meant to give the finger to corporate america. If you've watched the social network you should know what it means. They are at home waiting for the welfare check. Apparently Mark is trying to keep the company succesful. He must of learned from the White House. Of course its intentional. If he really wasn't thinking about it he would be wearing whatever was on top of the dryer pile, likely all similar, but not identical. But no, its always a hoodie. The author has expended energy going on about nothing much. The message Zuck is sending, for those who can read it, is the punch line to a great joke. The guy is worth billions and his only product is those who sign up for Facebook. Now it will go to the suits who will bankrupt it and the hoodie will be laughing all the way to the bank. Zuckerkid won, no doubt, but his legacy may well end up on the same heap with AOL. Dress codes are for employees, not employers. The boss wears whatever he likes. looks like the Lambda Lambda Lambda group photo ! you don't bring skittles to a gun fight. I'm at peak production in my hoodie. What line of work am I in? I rob banks. You would be called a "Bank Robber Nerd"
I've intentionally always have avoided working at traditional, "old school" companies. As an IT guy, I'm most productive when I'm comfortable, and my default fashion choice has always been the beach-bum shorts, t-shirt, and sneakers look. Could I make a few more bucks somewhere else where I'd have to dress up a bit more? Sure, but I prefer having 0 stress, being happier, and more comfortable. Who cares. Maybe he woke up and thought, "I'm a freaking billionaire. I'll wear a hoodie if I want to. It's not like all the investors drooling over my stock are going to change their minds because I wore a sweatshirt." Gee, and he was right. And his lips are permanently attached to his own behind. Ah yes, respect is really a relic of the past. It clearly PROVES that Hoodie is NOT bad after all. Thats not a reson to suspect someone – even babies wear hoodies and I do too. Dress or not, Fb will not do well in WS clearly. But its an achievement that it entered NasDaq this early- its clearly not worth 100 billion and there won't be any value for work at all. Its already fizzled out. are we yakking about clothes? If Zuckerberg suddenly started dressing like a Wall Street Pirate, I'd think someone slipped a pod under his bed. The sad sheep that whine about his clothes need to stop worrying about hoodies. Me, I worry about the quality of the work, not the content of his closet. Obviously you are under the age of 25 because his attire is about respect. Just as you wouldn't wear booty shorts to church or a mini skirt and tube top to someone's funeral, you show respect to others, epsecially those investing their money in you, by wearing a suit and tie. Of course, nowadays, it appears as if young people don't even know what the word respect means so, sadly, I guess I'll be seeing more booty shorts at church. It's a good thing he didn't wear that hoodie in Florida. Someone might have shot him. No. because he isn't a black thug. Shows no imagination – just trying to be a Jobs wanna-be and the media perpetuates his wanna-be celebrity. A Nerd is not an Artist. You think the rich merchants that paid for Rembrandt are as important ? It's a vile culture that cannot find money to pay a decent wage to workers but can always find money for IPOs and wars. we don't live in that world anymore, Ann. yes- i trust engineers regardless of footwear. no- not all NASA employees wear pressed shirts (they are not on TV anymore). and no- a polo shirt is not essential in research performance. you have missed the mark here by correlating fashion with performance. Look at leading service companies like Zappos or Mind+Body or Facebook or Google. Stroll through the work-spaces and you will not find the uptight projection of confidence per 10 years ago. if you asked an employer or investor if they want to be the part or look the part- which would they choose? Also it takes a long time to get ready. I'd rather just get more sleep or get more work done. capital letters are overrated as well.